The C J S VIPER was designed to perform several functions because that is what we do. I never sell a one trick pony. All our systems can do more than just slow speed assistance. Even the very first design from years ago did both high and low speed assistance. That seems to be what people want and why not? Jet boats are now doing a lot more than they did years ago, and becoming more versatile every day. So first, this system was designed to move the fins further out away from the nozzle for several reasons. One of them being to get the fins out away from the hull so they can get better exposure and be more effective with less dept. They are protected by the factory rudder as they do not go below it, similar to the Magnum A K steering fins' positioning. And since we are adding fins further apart they have more movement or travel than regular fins giving them more effect. Also, placing the fins further apart allowed us to incorporate our FANGS into the unit for power steering and if this was not enough we built in a trim tab for hull stabilization since we had the room between the fins. Seems like we are just spoiling you people! FINS, FANGS and TRIM TAB all in one! All at an unbelievably low price. Read what people who have tried these are saying about them. "These work! They do everything expected of them. On our test ride with the Viper fins yesterday, the first thing I noticed was having much better control in reverse at the boat dock. The next thing I noticed was the slow speed tracking was improved. When it was time to get on plane the boat definitely jumped on plane quicker and stayed on plane with less throttle when slowing down. At high speeds I don't know how much the planing affect will come into play because it seems like the planing surface is higher than the ride plate but at slower speeds and mid speeds it works great. At speed the boat will definitely carve tighter turns. I was concerned about it catching sea grass in the water but that never was an issue. On our test ride I wasn't loaded like a usual fishing trip but still had a friend with us and some gear but everything the boat did seemed better even crossing oncoming boat wakes at medium to lower speeds. The trim tab effect at lower speeds is really a nice feature. I would like to tell you guys that my boat went the fastest it has in six months but that may be just because I didn't have my usual amount of fishing gear on board. Definitely looking forward to our second trip." "I tested the Viper on the water today. My first impression was good. Reversing was so much better, I was able to actually steer in reverse. The boat got on plane quicker but I did notice a little bit of a bigger spray off the back. The boat handled the wake way better and when in "no wake mode" or going slow I didn't need to steer as much to get it to go straight. Nice improvement over stock....really made maneuvering around the dock today allot less stressful. I was on the water for about 2 hours today but am planning a longer day excursion this coming Friday, I will provide everyone with some more feedback then. Great job Jeff.!!" "I spent 7 hours on the lake today fishing. The Viper is the single best piece of equipment I've purchased for this boat. I highly recommend it. Spent much of the time at idle fishing and can say for a fact the Yamaha sit and spin is gone. Slow speed handling is greatly improved. No more over Steering and she tracks straight. Hops up on plane fast. Was able to get 43mph wide open with a full tank of gas with 2 adults on board. Can't honestly say the Viper is the reason for the speed, but I'm happy so that's all that matters. Review of the first day out with the new Cobra Jet Viper. Moderate to easy depending on your ability. I found it to be easy, but I've had some experience in this area. Found the boat to be moderately more responsive in reverse. Better ability to turn the stern to port and starboard. This is the speed I would say we spend 75% of the time and where the Viper shines. I saw vast improvements in no wake mode. (See quick video) Notice the black tape at the top of the steering wheel. Tracked straight without moving or touching the wheel. This area of the lake was less choppy but still had considerable cross winds. The Viper preformed EXCELLENT. Before the Viper we were constantly steering to keep a straight course. This alone is worth the cost and installation. Preformed good. I really can't say that it's a lot better, because I felt the FSH was already good while cruising at speed. I can say the Viper had no adverse effect and probably did in fact give a smoother feel , but it's so close it's hard to say. I did not see any additional water spray as noted in another review. Saw a small amount of improvement at this very slow / neutral speed. I will say that with the 20 mph cross winds and chop blowing across the launch it was a very rough day for launching and recovery. I'm still not the best with this area of the FSH. Only have about 20 hours on the boat. The winds and chop were so bad during recovery I finally docked and used a line to pull her on to the trailer with someone pushing the stern off the dock. Winds kept pushing me sideways in the launch. I will review this area again when we have normal conditions. The FSH sit and spin was dramatically decreased. I did not spend a lot of time sitting at idle, but I did notice a drastic improvement. I will spend more time at idle next trip and update the review. Well the best and most important thing I can say about the Viper is the wife was extremely happy with the no wake / slow speed handling. This is when she drives 95% of the time. If she's happy the Viperis worth every penny. Happy wife equals more time on the boat!!!!!! I will review again when the winds aren't so bad or when I take her into different water. " 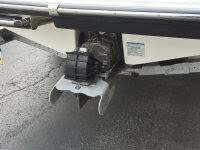 "Last week I installed the Cobra Viper System on my 190 fsh. Installation only took about 20 minutes to complete. Took the boat out on the Lake with 20 mph winds. Low speed the boat handled great. Very little steering corrections to keep it going straight. Did not use reverse that much to see how well it handled. I did notice it got on plane faster than without. What I like the best was turning the boat while on plane. It really holds the turn and gives it a tighter turning response. Running the boat in rough water really showed how well the viper system kept the boat running straight in-line while cutting across the waves. Thanks Jeff!" There are more comments that you can view on our Facebook page. This is the CJS VIPER installed on a customer's boat. Welcome to COBRA JET STEERING. Thank you for visiting our new web page. 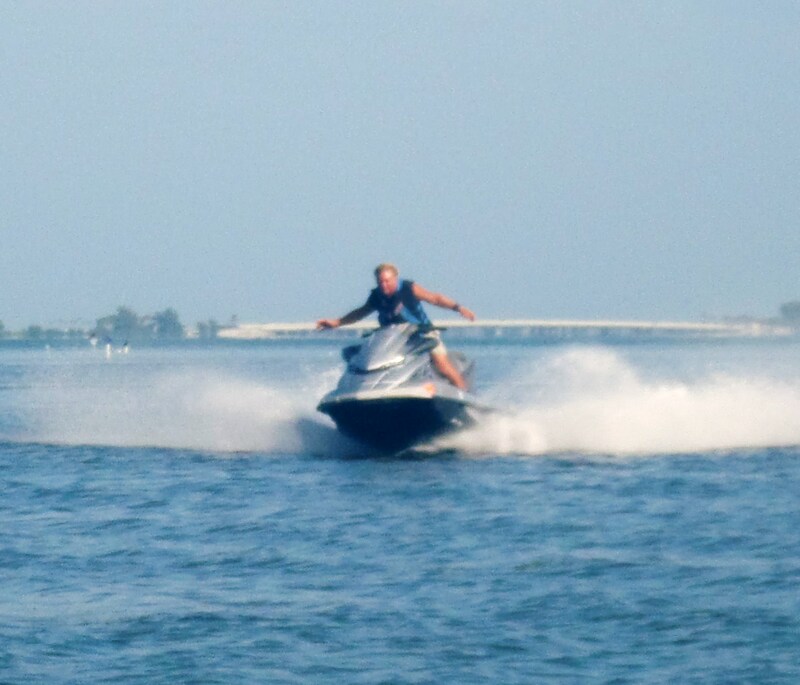 We are proud to have been offering patented steering improvements for jet-propelled watercraft since 2001. We continue to design new products to enhance you jet boating experience. Our main focus is to design and offer effective and affordable steering systems that make your time on the water safer and a lot more enjoyable. Our steering systems do not just offer slow speed assistance or part-time steering. We offer steering that brings your jet boat up to par with what today's customers demand of their jet boats: fishing, water sports, cruising with user friendly handling, and predictable control in both rough and smooth water. We look forward to being able to make your jet boating a great experience. Now we are offering you a few optional upgrades for your Ultimate or Magnum 16x steering systems., And a special version for our Magnum A K steering system for the Yamaha articulating keel twin-engine jet boats. Cobra Venom FANGS can be added to most of the Yamaha jet boat line with the exception of the 19-foot boats that have a factory rudder. Those models have a variety of steering choices, the Ultimate or Magnum 16x steering systems. However, the Venom FANGS are not compatible with those 19-foot rudder equipped boat models. The good news is we now have a new model specific steering system that was designed just for those boats, the CJS VIPER. The VIPER is equipped with fins, fangs, and a planing surface for faster planing and better hull stability. Now for the regular no-keel boats including, the 19 foot models, the FANGS can be added to either the Ultimate systems or the Magnum 16x systems. A separate AK Series FANG system is also available for the newer 21 and 24 foot articulating keel model twin engine jet boats. So how does it work? We made a modification to obtain the same benefit as old ships obtained by placing a fin forward of the rudder's pivot point to assist in turning the rudder, or in our case, FINS. This system also helps to direct the water exiting the bottom of the steering nozzle when the controls are placed in reverse so it handles better while backing at slow speeds. Take a look on https://www.facebook.com/Cobra-jet-steering-257584527645178/ or on www.jetboaters.net and see the comments about how the FANGS deliver. Cobra Venom ULTIMATE Steering with FANGS installed. Cobra Venom Magnum AK Series Steering with FANGS installed. If you want to add more control to your 19 foot rudder boat to assist with trolling or dealing with waves, wind, or strong currents, you will be happy to know that the ULTIMATE system and the MAGNUM system are both compatible with the single rudder setup from Yamaha offered on 2016 models. Recent customer review of the ULTIMATE unit on his 19 foot Yamaha F S H with the factory rudder and the ULTIMATE steering system combined. I took my FSH out on the Halifax river this afternoon for about an hour. It was quite windy and I must say I'm pretty impressed with the steering. It takes much less steering input to initiate a turn (much more responsive), a big improvement at all speeds over stock. I also noticed that I no longer need to saw the wheel left and right to maintain a straight track through all of the no wake zones in the Halifax, it tracks like a prop driven boat if not better. I didn't notice any loss of performance with the fins set to your recommended always down position. I think I will keep them set that way. I'll report back after a few more trips under different conditions. We now offer a special MAGNUM AK Series steering system for the 2015 and newer Yamaha Articulating Keel 24 foot and 21 foot jet boats. You may view and order this system here. Having a large keel added to the length of the hull creates some very unique challenges in the handling of the boat. A keel will resist the steering input from the helm as it keeps the boat traveling in a straight line,making quick directional changes a bit challenging. The factory system also taxed the right side of the steering system by using only one tie rod connected to the rudder. We felt that the uneven setup would most likely take its toll on the right side of the steering system over time. We added a second tie rod from the left side nozzle to the rudder to even it all out and we placed a MAGNUM fin on the outside of each nozzle to increase the steering input for better response at all speeds. This sets up a unique "V" formation for steering input. Using the MAGNUM fins allows for individual adjustments to meet the precise requirements of each individual boat owner. We also offer a special power steering and enhanced reverse set of A K FANG upgrades for this system. The best just keeps getting better! For customer testimonials and comments on the new Magnum A K steering system check in on the cobra jet steering facebook page we post them as they come in.